Many people upload their videos to video sharing websites. When you enjoy these videos, you may wish to download the audio from web, for example YouTube, to your computer. Some online tools may help you download such stream media to FLV or WebM video format. But the downloaded file can't be supported by your mp3 player or other portable media devices. So no matter whether you would like to listen to the music offline or burn it to CD, you should find a helpful tool to help you download and convert audio from video sharing websites. How to download audio from YouTube? Now let me show you how to download audio from YouTube. It will only take 3 steps. Firstly, according to your OS, get Bigasoft Video Downloader Pro free youtube mp3 converter download (Mac version, PC version). Bigasoft Video Downloader Pro can help you download audio from more than 1000 popular video sharing sites including YouTube, Facebook, Vimeo, MTV, Dailymotion, Metacafe and Funnyordie. Copy and paste the URL of the YouTube video into Download panel. You can also copy several URL into the software at a time. Select Download Quality and destination folder to save the output audio..
Next choose MP3-MPEG Layer-3 profile or other audio formats you like. This tool supports almost all the popular audio formats. Click the download button and the YouTube video will be added into downloading list on Activity panel. The downloading will be finished in a few minutes. Then you can enjoy the converted YouTube audio file on your player without internet connection. Download audio from YouTube to your players with Bigasoft Video Downloader Pro now. If you use Google Chrome or Mozilla Firefox and allow installation of plug-in, you will get little download button on the top right of the play window. Click it and the video will be added into the software directly. All the YouTube channels are supported, including YouTube vevo. 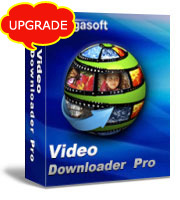 Other video/audio formats are supported by Bigasoft Video Downloader Pro. It is possible to enjoy high quality YouTube on your PS3, Xbox or any other media devices.